Where to find Castle Semple Loch. 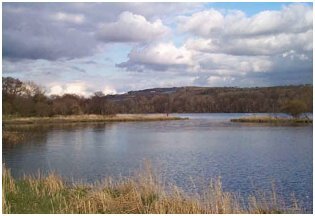 Castle Semple Loch is said to be one of the three best coarse-fishing lochs in Scotland - the other two being Loch Awe and Loch Lomond. Rumour has it there are monster pike, some as big as 30lb, as well as perch, roach, brown trout and eels. There is also the occassional salmon and sea-trout passing through from the Black Cart Water to the River Calder. Prices for the day are £2.50 or take out a Club membership for £14* for the full season. Permits/Day Tickets can also be purchased from the Clyde Muirshiel Visitors Centre, although the club does not recieve any monetary benefit from this. * Prices correct for 2008 season.